USB detection is one of the most common problems owners of the Samsung Galaxy S4 face. There are several factors affecting connectivity between the smartphone and the computer. We have received hundreds of emails related to this problem and though we've already published several articles addressing this very issue, it's just worth another shot at it. But before anything else, here are some of the emails we received. Try to see if your problem is the same what our readers are experiencing. Reader One: Hey SeberTech Team, I just got my Galaxy S4 and I'm from Texas. I used to have the Galaxy S3 so I'm not new to Android or Samsung. During my GS3 days, I had no problems whatsoever connection my phone to my computer. But when I got this more sophisticated phone, I feel like I'm going bald scratching my head over the problem. It seems like my computer is refusing to detect my phone. I will be waiting for your response. Thank you! Reader Two: When I bought my phone, Samsung Galaxy S IV, I never encountered any problems at all...well, until recently when my computer cannot recognize it. I don't know what happened but everything started one day when I connected my phone to my computer. My PC can detect it but along the process something goes wrong that my computer can't read it afterwards. Reader Three: I'm not really savvy about how things like smartphones work but I just bought a Galaxy S4 and when I try to connect it to my computer via the USB, it says device is not recognized. Do I have to do something for it to be recognized by my computer? · Using a third-party USB cable. · Connecting using a USB hub. · USB drivers are not installed. · USB settings are not set to Media device (MTP). · Third-party case or cover blocking the USB cable. · Firewall or Anti-virus software restricting access. 1. Verify you are using the USB cable supplied with your device. 3. Connect the USB cable directly the computer, bypassing any hubs or docks. 4. 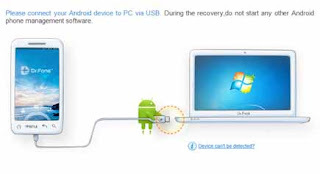 Verify the device/USB cable has no physical or liquid damage, for example, the USB port is damaged. 5. If you have an anti-virus or firewall program running, you may need to temporarily disable it. 6. Disconnect the USB cable from both the device and computer. 8. Connect the USB cable directly to the computer. If possible connect the cable to a different USB port on your computer. 9. Install / Reinstall Samsung KIES to your computer; it already brings a whole lot of drivers for Samsung devices.